Shopping local this holiday season just got a lot easier, thanks to this pop-up shop from the Apparel Industry Board, Inc.
MADE IN CHICAGO presented by AIBI Shopping local this holiday season just got a lot easier, thanks to this pop-up shop from the Apparel Industry Board Inc. The store, open through December 31, features apparel, accessories and gifts from 21 Chicago designers including Crescendo Apparel, Killion and VaVaVroom. 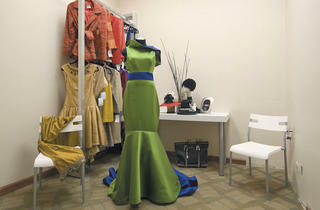 Look for designer trunk shows in the space, as well. 44 E Grand Ave (312-327-2300, theshopsatnorthbridge.com).